In prep we trust. Looking smart never compromises on style. 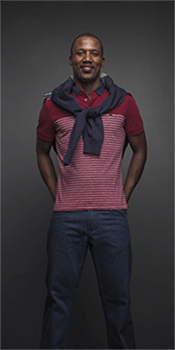 Get this sophisticated look and wear Private Label’s Golfer with a stripe design with dark, straight cut denims. Next, throw a knit over your shoulders to complete the outfit and away you go.